Dried yeast balls are also called "pang khao mahk" in Thai language, and these are used to make Thai fermented sweet rice dessert "Khao Mahk". 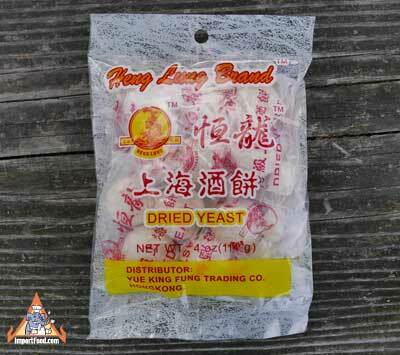 This is good quality dried yeast and will work well. You get 10 yeast balls in one 4 oz package. Inside the package is 5 smaller bags, each with 2 yeast balls.